At your next party or BBQ, ask your friends to list a few–say five– of the best selling acts in music history. Odds are, Abba won’t be on the list, even though one of their biggest hits, 1976’s “Fernando,” has sold over 10 million copies –a rare achievement, placing it among the best selling singles of all time. The Swedish foursome has re-emerged after a 35-year hiatus and are releasing two new songs; the first one will be unveiled in December. 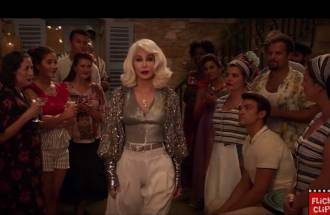 …timed to last week’s release of the “Mamma Mia” movie sequel “Mamma Mia Here We Go Again” and its companion soundtrack, “Fernando” gets a re-do, sung by Cher, with background vocals by Andy Garcia, one of the movie’s co-stars. FYI: Abba’s “Fernando” has almost 60 million YouTube views. Enough said.